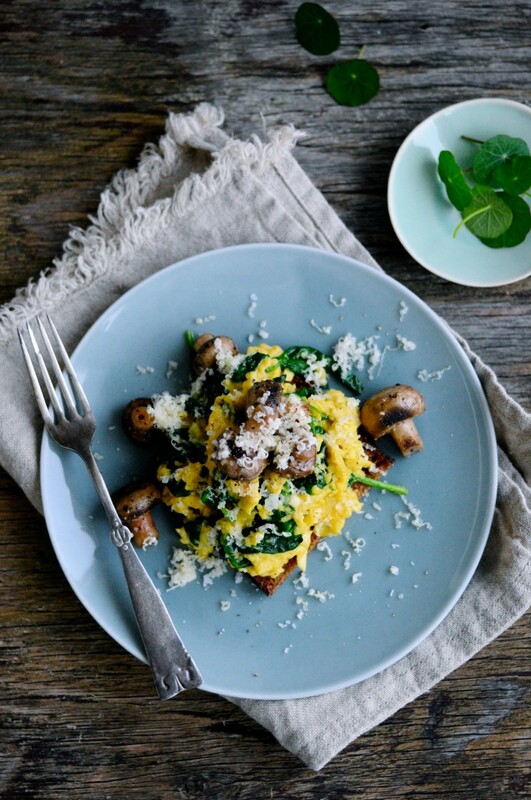 This recipe for healthy scrambled eggs with mushrooms is the ideal breakfast for those who often don’t have time to eat lunch until late in the day. Like me! Or just people who like to eat a large breakfast just because breakfast is there favorite meal of the day. Like me! 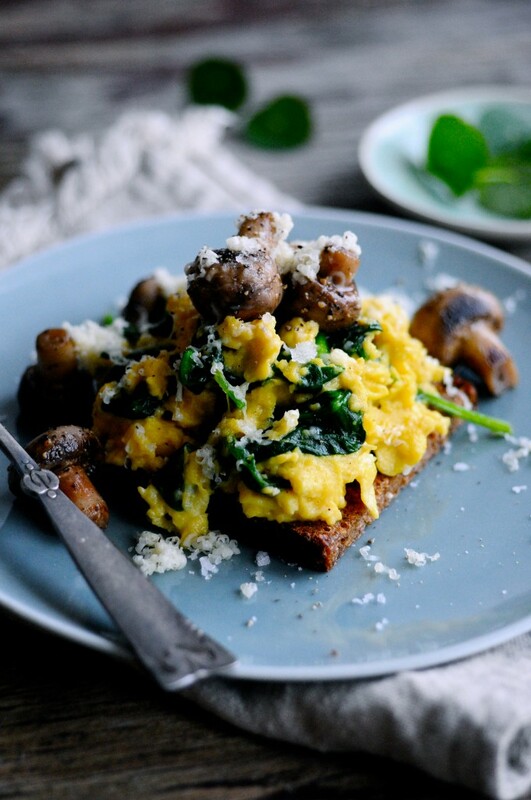 Scrambled eggs with mushrooms, spinach and cheeeeese! I make my scrambled eggs with spinach, that’s actually a must, always spinach! To get an extra set of vitamins. And then sometimes, like in this recipe, I add mushrooms. Just because I love mushrooms. Cheese is also a nice add on and here I’ve used a hard Danish cheese called ‘Høost’. A very difficult word, I know, must be especially for French people! Directly translated it means “hay cheese” and it’s got it’s name because the organic cows eat hay in the barn during winter time, which they love! 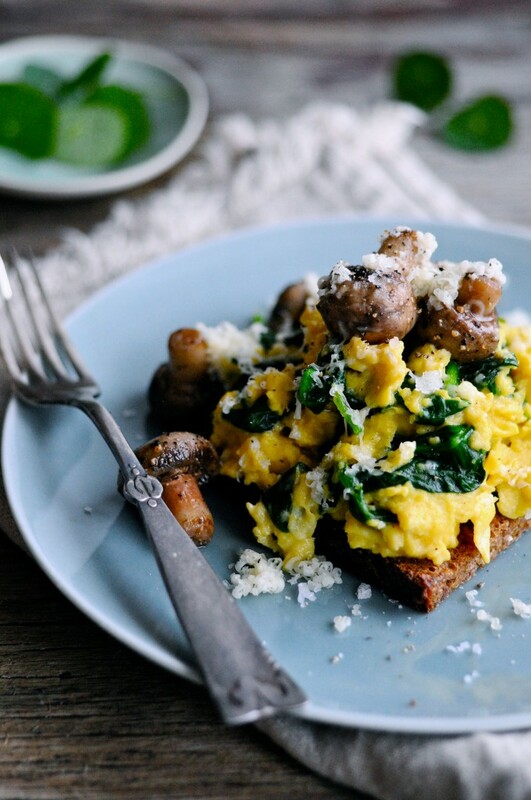 I’ve put my healthy scrambled eggs with mushrooms on top of two pieces of rye bread, which makes this dish even more healthy due to all the whole grains and fibres in the bread. I’ve mentioned the lovely Danish rye bread many times before here on the blog, since it is such a huge part of our culinary heritage. Latest I’ve written about it in my open faced sandwiches recipe. However, if you can’t get a hold of it, just try to find something similar, like a whole grain bread cause’ we want those fibres! The best scrambled egss you can find. 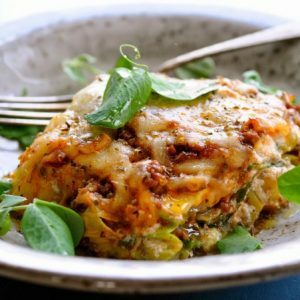 I love this healthy version! Wash the mushrooms. Put them in a hot pan with olive oil and fry until they take color. Season them with salt and freshly ground pepper and put them aside on a plate. Mix the eggs together with freshly ground pepper. Heat olive oil on the pan and add rinsed baby spinach. Fry for 2 minutes and pour over the eggs and stir around. When it becomes scrambled eggs remove from heat. 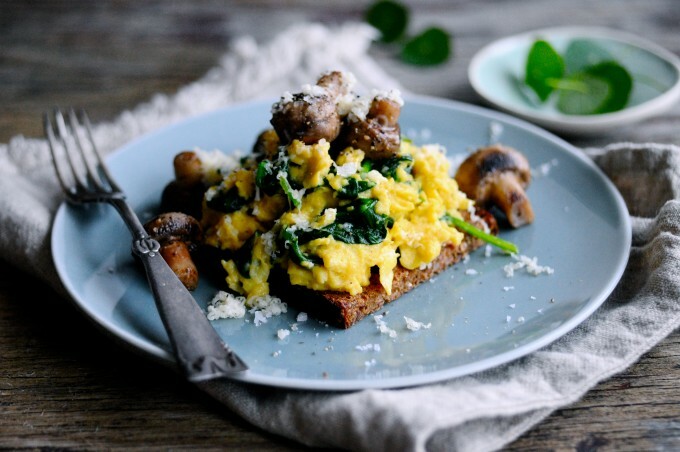 Spread the eggs on the two pieces of rye bread and decorate with the roasted mushrooms. Grate the cheese and garnish. Add finely chopped chives if you have. 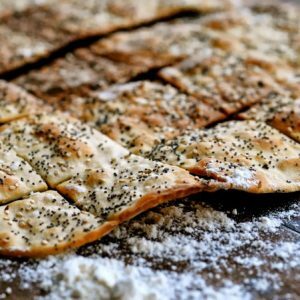 Finish with salt and freshly ground pepper and serve.